Cascading mounds of fine grass blades, turns gold in the fall. 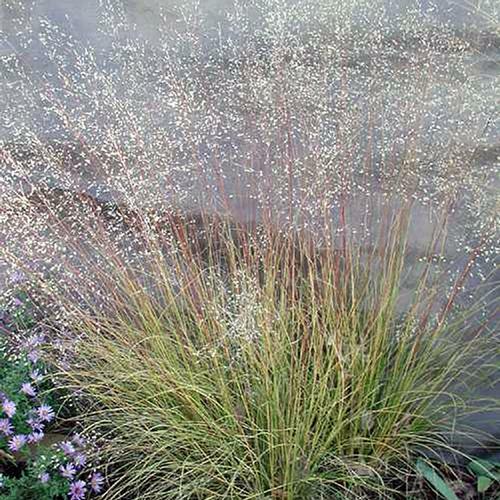 The pinkish airy abundant blooms sit like mist above the plant in fall. This variety is more consistant in height and habit than the species.